The online activities of individuals move at a pace which is beyond fast. With the number of social media platforms and apps increasing on a daily basis, it could be quite impossible to keep track of your inner circle, let alone of the remainder of the world. But just how fast does the internet move? This infographic from Lori Lewis and Chadd Callahan of Cumulus Media illustrates the number of activities online that have occurred on major social media platforms and websites across the Internet. Now that the internet can easily be accessed worldwide, the data transmitted online each second is overwhelming. As at now, every second, 973,000 users login on Facebook, over 1 million swipes on Tinder, and over 174,000 users scroll on Instagram. Additionally, 38 million messages are passed between various individuals on the WhatsApp messaging platform. All these are just a glimpse of the entire picture. 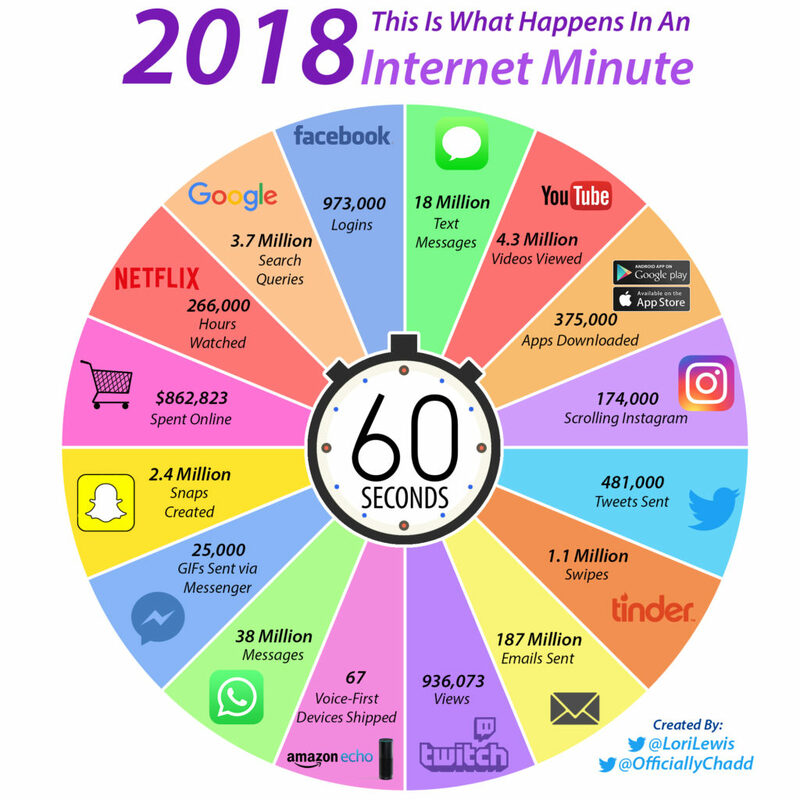 If you are interested in knowing the amount of YouTube views or Google search that happens in one minute, worry not as now this has been made possible with the infographic below.